Ninth-century Saxon England crumbles under the onslaught of a relentless foe - the Danish Vikings. Ceridwen, a young woman with divided loyalties, watches as the peace and plenty she enjoys at the Saxon stronghold of Kilton gives way to wary watchfulness. 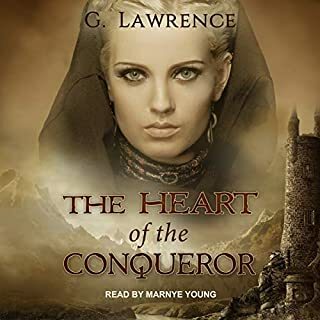 Her dearest friend, Ælfwyn, sold in marriage to a Dane in a desperate bid for peace, travels to Kilton and recounts the events that befell the fortress of Four Stones in captured Lindisse. 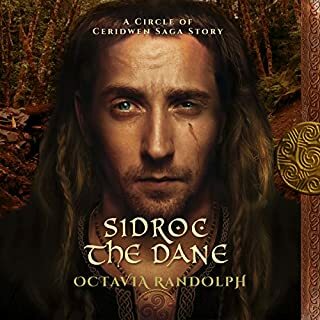 But Ceridwen is also confronted by Sidroc, the Dane she ran from, and cannot forget. Ceridwen's life revolves around her beloved husband Gyric, rendered now unfit for battle and seemingly, for happiness. At the heart of Kilton is Gyric's brother Godwin, the young lord who struggles both against the Danish invaders and an unthinkable desire. Growing tensions between the brothers mirror the escalating threat to the Saxons from the Danes. The fate of all at Kilton hangs in the balance at a single terrifying battle. The Crumbling of 9th-Century Saxon England! What made the experience of listening to Ceridwen of Kilton the most enjoyable? As in Book 1, seeing how the protagonist, Ceridwen of Kilton, navigates her way in and out of challenging and dangerous situations. The surprising gift Ceridwen and Gyric bestowed upon Godwyn (Gyric's brother) and Edyth (Godwyn's wife & Ceridwen & Gyric's sister-in-law) at the end of the book! Nano Nagle grew to be even more comfortable with the characters in this book. She seemed to have more fun with them. Who was the most memorable character of Ceridwen of Kilton and why? Again, as in Book 1, I'd have to say the protagonist, Ceridwen of Kilton! Ceridwen's character creatively navigates its way through the many challenges and surprising situations expertly sprinkled throughout the story. This behavior and growth gains her the love and respect of her husband, Gyric, and the many men and women they encounter in their life. If you thought that Ceridwen and Gyric could rest on their laurels a bit after facing the many challenges they encountered in Book 1, The Circle of Ceridwen, while trying to safely arrive at the Saxon Stronghold of Kilton, you're in for many new surprises in Book 2, Ceridwen of Kilton! I found Gyric's dark mood throughout frustrating, many times I just wanted to take hold of him and shake him! The author, Octavia Randolph, masterfully weaves us through some twists and turns that add a depth of interest that further ingratiates the listener to the story! This book is a wonderful continuation of the story of Ceridwen. I enjoyed it immensely. Now onto part three! It gave me such insight into the times of the people who lived so long ago. I loved it! I have enjoyed the Ceridwen books -- 4 so far, and find them addictive. They are set in the 9th Century and are full of memorable characters. I have not researched whether the settings, tools, and environments are accurate, but they certainly seem so--and I am always intrigued to learn how LOW tech societies worked. The people in Ceridwen's life, and she herself, often push the boundaries of their societal roles, but not in ways that seem unbelievable. 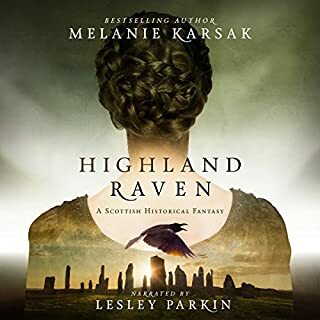 So as a dedicated "Outlander" fan, I can recommend these to you, though in comparison, the Ceridwen books do not have actual known historical events that strongly influence the plot. Randolf writes less history and less sexual detail (the descriptions are relatively restrained), but delightful books nevertheless. LOVE OUTLANDER? RANDOLPH JUST AS GOOD!!!! 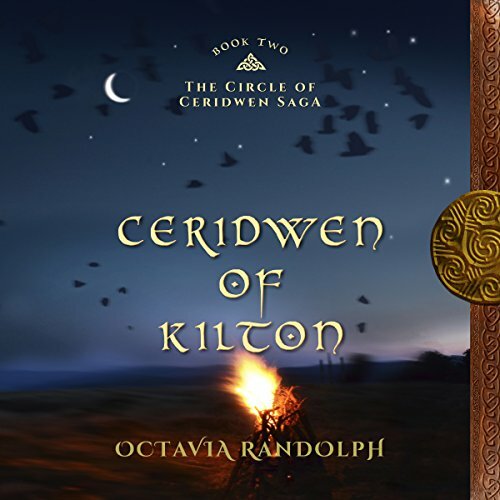 Would you consider the audio edition of Ceridwen of Kilton to be better than the print version? By this volume I began downloading all I could get in this series, each successive book gets better and better. Love this book and the first in Series too!!! if you loved the Outlander series, you'll enjoy this one too!!! A fantastic follow up to an amazing first book. Hoping the next book will be released very soon! I am hooked on this saga. I felt the emotion and found myself in tears several times. 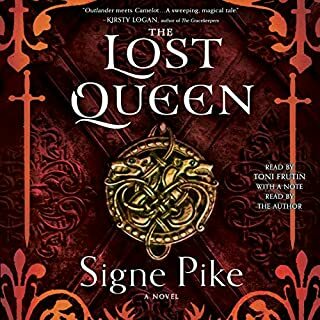 Looking forward to purchasing the other books in the series when they are available on Audible. This book left me wanting more. After the first book the only complaint I have is it isn't as long as the first book in the series. Wonderful it just left me wanting more of everything. Enjoyable. 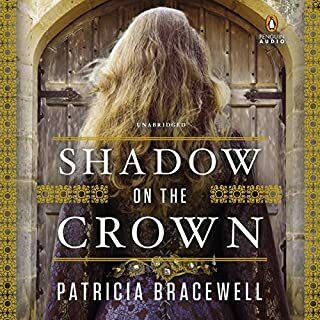 Looking forward to 3rd book of the Saga & continuing the story of Ceridwen. Enjoyed listening to this book as much as the first book. The journey Ceridwen is taking through life is fascinating to listen to and with the details of life in this time in history it is easy to picture how people lived and died. 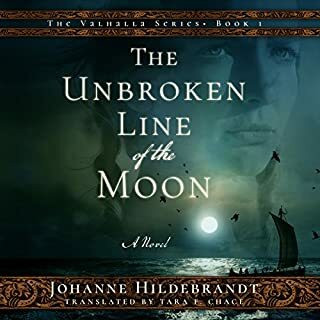 The narration is terrific and I look forward to listening to the next book in the saga. This was all that it promised. These book have taken up much of my time, which means there are good. After watching Vikings, GOT and Outlander I was luck to come across such a find, thankyou. I am enjoying this series and love the genre but the narration is just wrong. This voice actor has a lovely voice but she seems to put the wrong emotion to heated scenes.